Interior Design & Bespoke Furniture Design for a Family Dining & Living room in Cobham, Surrey. 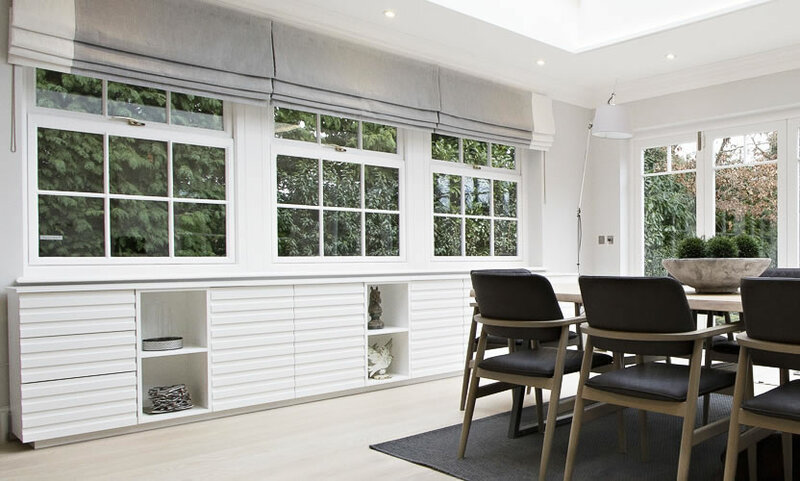 The brief was to update an existing open plan family dining & living room. 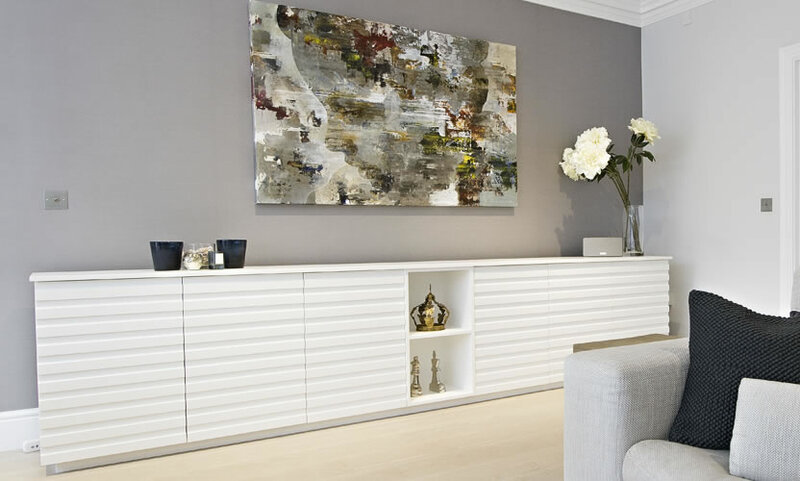 New pieces of furniture that worked well with the existing pieces were chosen, as well as a fresh grey, slate blue and white colour pallet introduced. A beautiful grey silk wallpaper was chosen for accent walls complimented by bespoke roman blinds in contemporary linen fabrics with a feature contrast panel detail edge for interest and contrast. 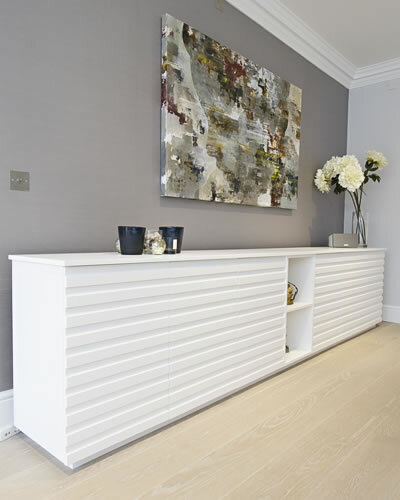 Bespoke extra wide storage base units were designed to perfectly suit all my clients specific storage needs, whilst ensuring their style and design wasn’t over shadowed by their practicality & function.